As a new year begins, I am inspired by three women who share their talents in impactful ways. Beginning this week with Chicago Child Care Society CEO, Dara Munson, I will be profiling people who persevere. In the second installation of this series, we will visit with Bonnie Pacelli. Bonnie helps people tell their stories—a gift we could all give to our families—and I look forward to sharing her words with you. The series ends with inspirational dance instructor Gloria Alaya. She will help us kick off 2017 with a better sense of awareness of our bodies and connection to our senses. Here’s to a positive, giving, and exhilarating new year! Answering that question is Dara Munson’s mission. 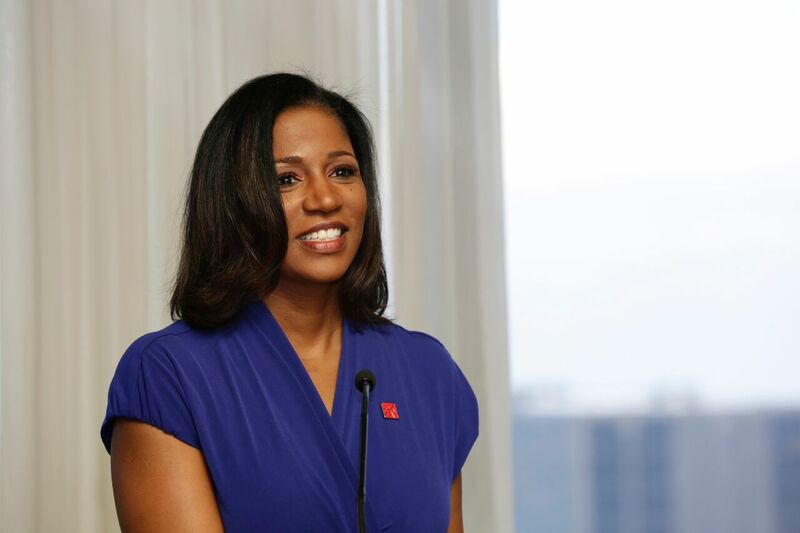 The current CEO of CCCS arrived in Chicago a year ago from Detroit—there she headed Big Brothers Big Sisters, later serving as COO of the Girl Scouts of Southeastern Michigan, and holding an executive role at United Way. Considered “one of the young leaders to watch” in the Midwest by several publications, here in Chicago she is concentrating on building partnerships and collaborations with similar organizations that will forge the continuation of services for at-risk children and families across the city. Her enthusiasm and obvious joy in her work has motivated new volunteers to join her mission. Like these volunteers, she finds time frequently to read to the children in Chicago Child Care centers. One of her great pleasures was working with the late Peggy Carr, a Child Care board member for over 75 years. 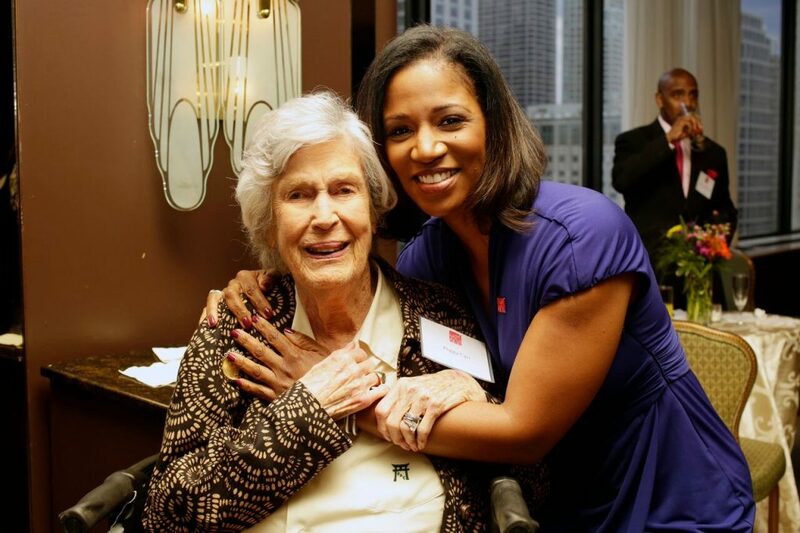 Peggy, who passed away in November at age 103, loved to garden at the Hyde Park and Englewood centers with the children, and attended almost all board meetings for the organization up until the end of her life. Dara, at right, with the late Peggy Carr. “How can one person help? There are many opportunities to provide direct service for children in the city, whether as a mentor, to volunteer to read to children, or more broadly as a board member of an organization where you work on policy and strategy. 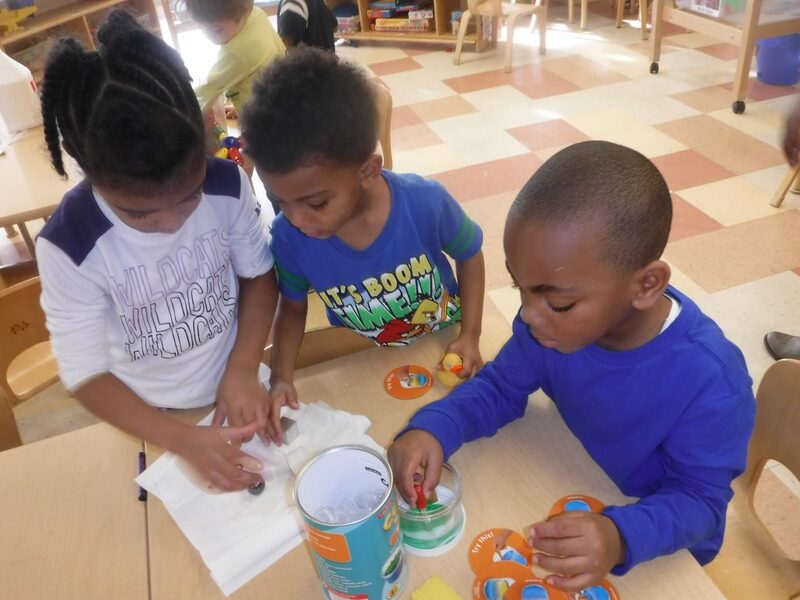 Exploration in the classroom at Chicago Child Care. Munson studied juvenile justice and had thought at one time that she wanted to become a judge. 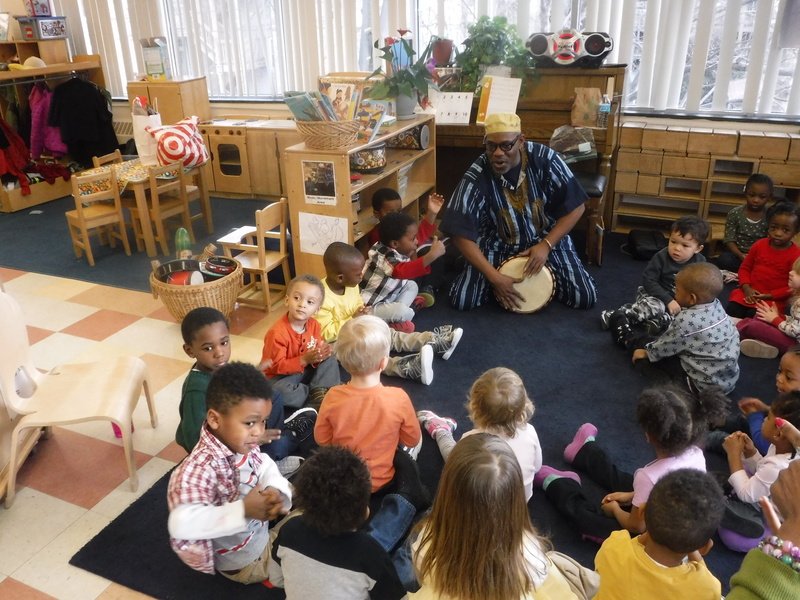 A celebration of music and culture in the classroom. Established 166 years ago, Chicago Child Care Society (CCCS) is the oldest continually operating child welfare agency in Illinois. Located in Hyde Park with a new center in Englewood, its earliest incarnation was as an orphanage for the children of those who perished in a cholera epidemic. As a child, Peggy Carr remembered her mother, who headed the organization while it was still an orphanage, bringing home the residents who became some of Peggy’s playmates. 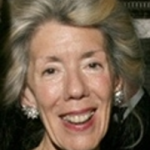 To board member Nancy Snyder, Munson can raise that village. 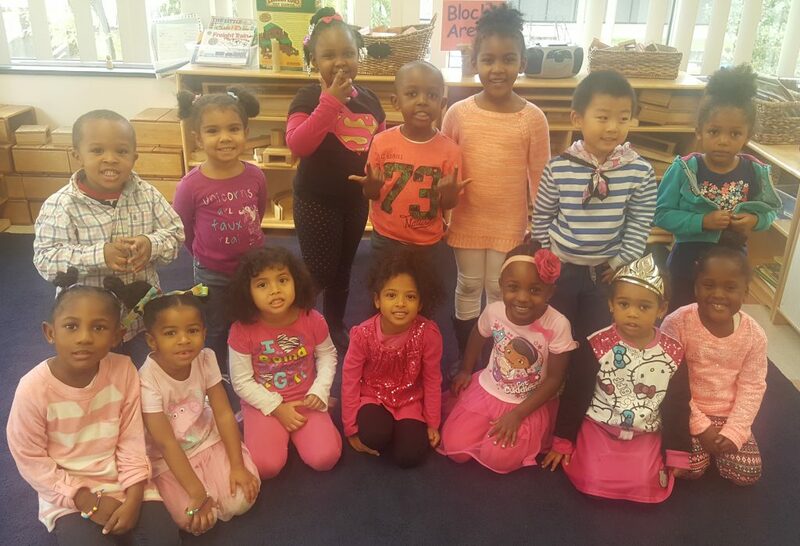 The children on Pink Ribbon Day. “Chastity wasn’t all that much different than her peers in that she loved to dance and sing and laugh with her friends. Everything changed when she was a victim of sexual abuse at the hands of a family member. Although overwhelmed with fear, she reached out to her family, but no one believed her story. This once happy girl was left feeling all alone and wondering if anyone really cared for her at all. “As a result, she began to give up, dropping out of high school and stopped trusting anyone in her life. At the age of 23, she found herself as a single mom with no job, no home, and no future. She desperately wanted to give her child a better life. “Then she met one of our Early Head Start Home Visitors. She began to receive weekly home visits and attend monthly socialization groups to enhance the development of her child and to learn about healthy family functioning and family planning. In addition, Chastity received housing referrals and financial assistance. It was during her weekly home visits that some concerns regarding her child’s development were noticed. Chicago Child Care Society referred her baby for early intervention services and provided weekly developmental therapy. Could there be a better New Year’s Resolution? If you are interested in volunteering for Chicago Child Care Society, there are a variety of opportunities to check out. Would you like to mentor a teenager as part of the Next Step Program, read to small children at one of the family centers, lead a drive, or donate school supplies, winter coats, or boots? CCCS is also looking for young professionals who would like to serve on the junior board. 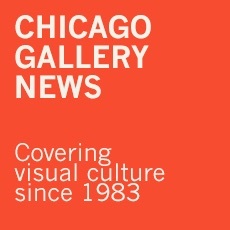 Contact Erin Walton by email (ewalton@cccsociety.org) or phone (773-643-0452). To learn more, visit www.cccsociety.org. This entry was posted in Judy's People on January 1, 2017 by Kay Whitfield.